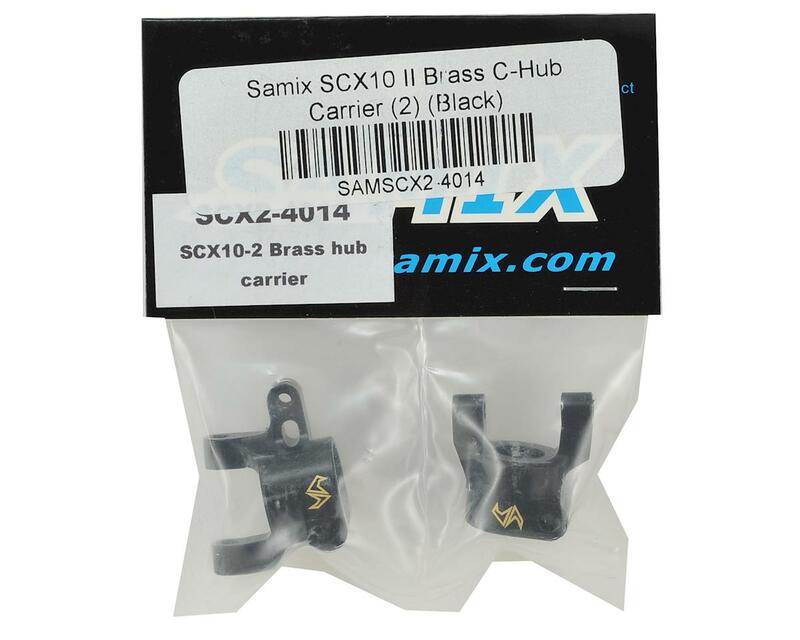 The Samix SCX10 II Brass Hub Carrier Set is a precision machined c-hub option for your SCX10 II or AR44 axle build. 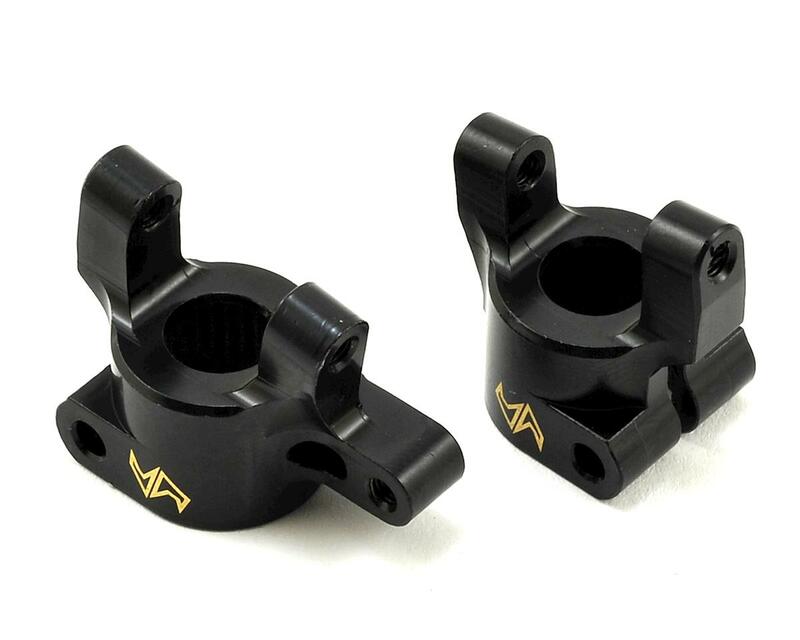 Weighing in at 35 grams for the pair, these c-hubs feature a clamp lock design and a black finish that you wont find on other brass parts. This upgrade offers the increased performance of a metal c-hub, with the improved stability that comes with increased unsprung weight, while remaining stealthy and unnoticed. Package includes two c-hubs.